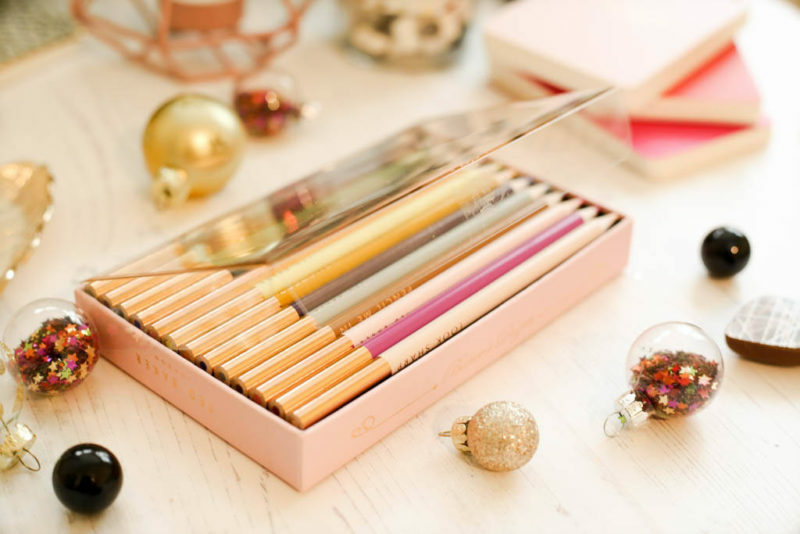 Aside from makeup and beauty, you would have come to know that I have a particular weakness for home and lifestyle pieces and as much as I get excited over a brand new lipstick, even a candle or a new mug, and of course stationery, has me jumping with glee. I’ve actually been really excited to share this because the following gift ideas are all things that I own and love so hopefully they’ll give you some inspiration if you are thinking of home and lifestyle gifts for someone this Christmas, or indeed to put on your own wish list. 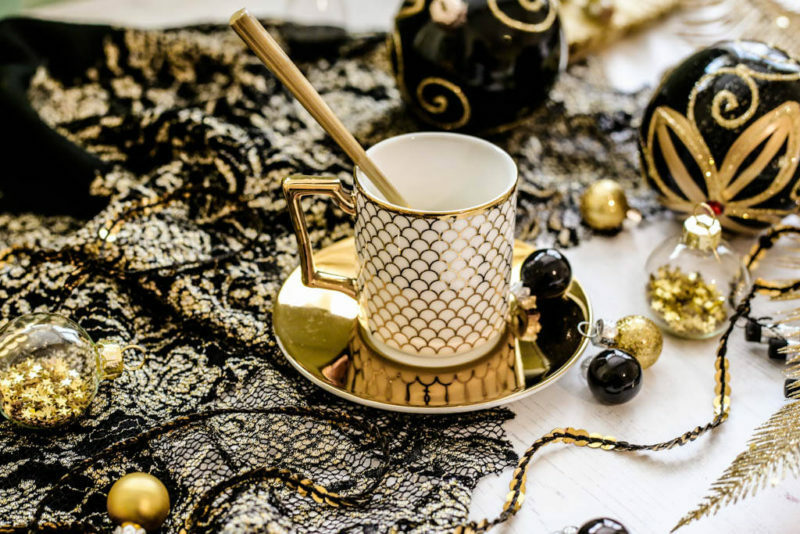 This is a stunning mug and I love the gatsby print. Unfortunately it is out of stock online (not surprising really) but I actually found mine in-store. 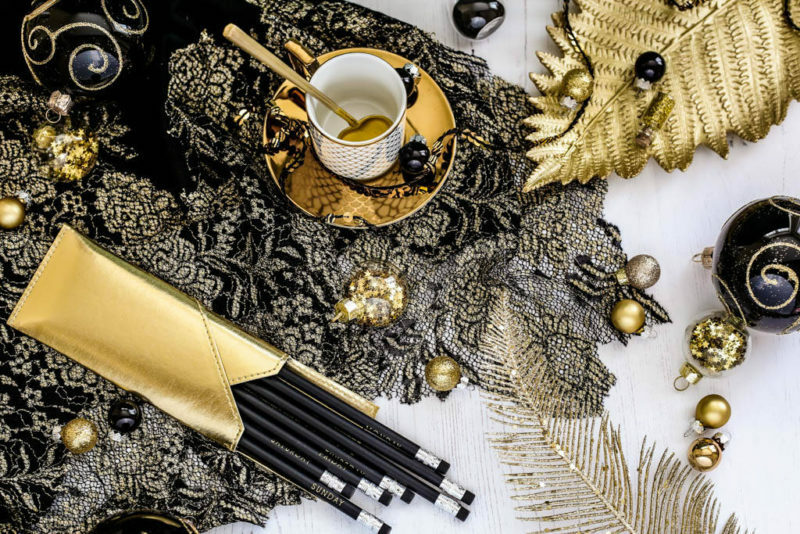 I love all of the Fox & Ivy range at Tesco and highly recommend this for affordable, but very pretty and luxurious home and lifestyle pieces. 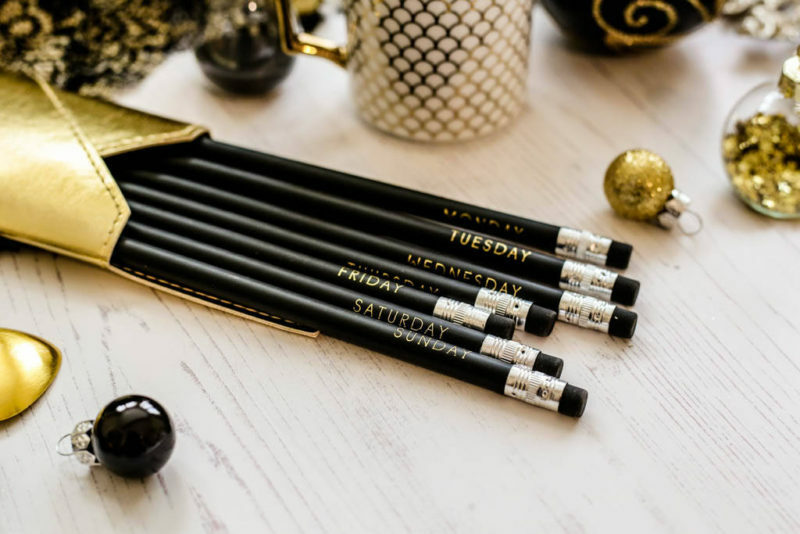 Perfect for stationery lovers, this pencil set engraved with the days of the week comes with a golden leather pouch. 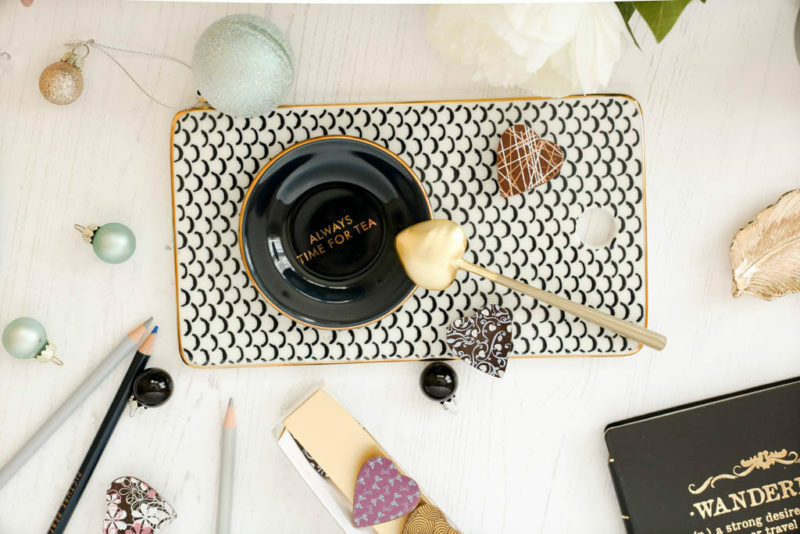 I adore the detailing and soft gold colour of this tray. It also comes in a larger size for £29.99. 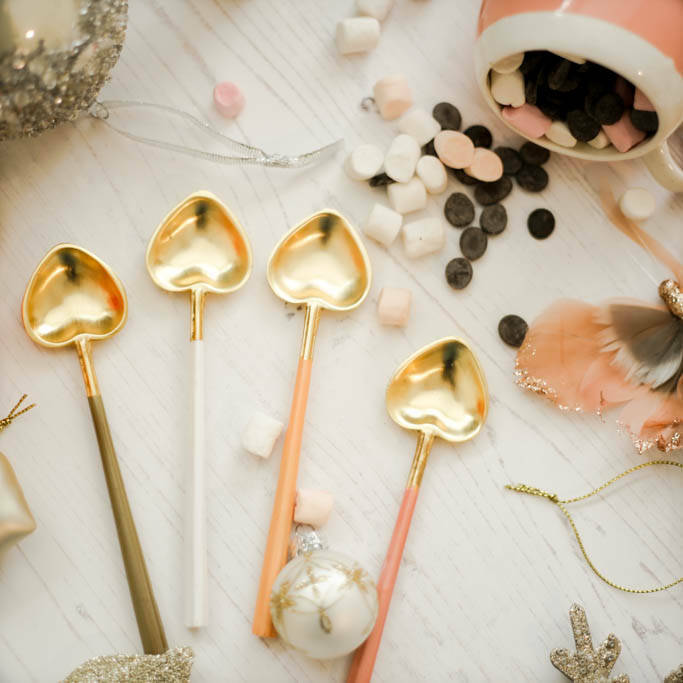 I think these spoons are adorable and they come packaged in a lovely box too. This mug is just serious cuteness. 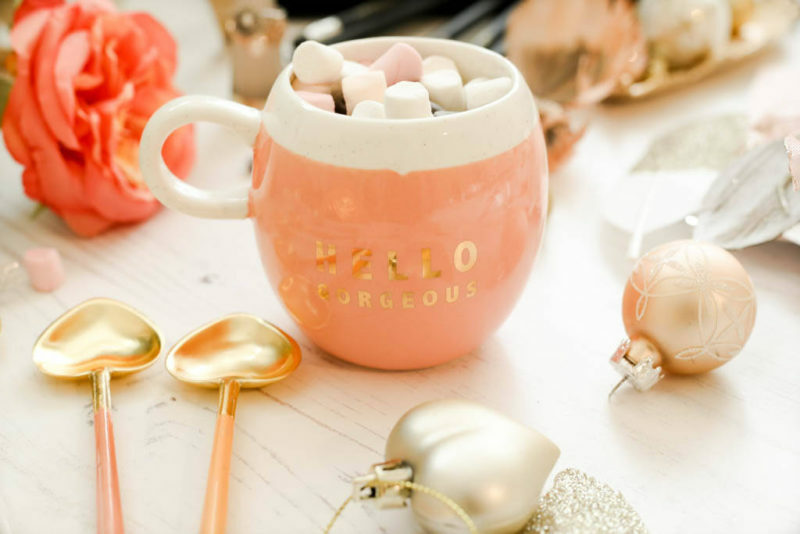 I love the wording on it and it’s especially great for anyone who loves hot chocolate and marshmallows! The muted tones of this 2-piece set has an understated feminine touch. 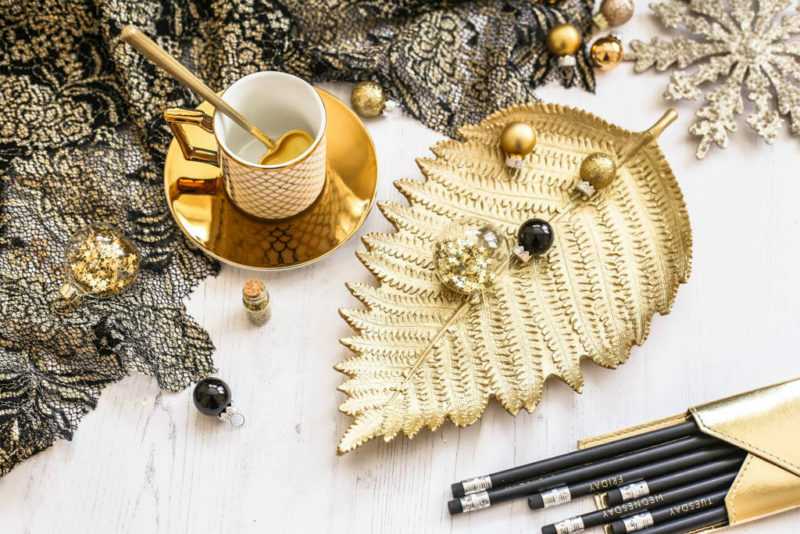 It looks great on a dressing table to hold jewellery or equally will look great to dress up an office workspace. This ring holder comes in different sizes and colours and makes for a great gift or stocking filler. The marble finish makes it look very luxurious yet the price is surprisingly very affordable. 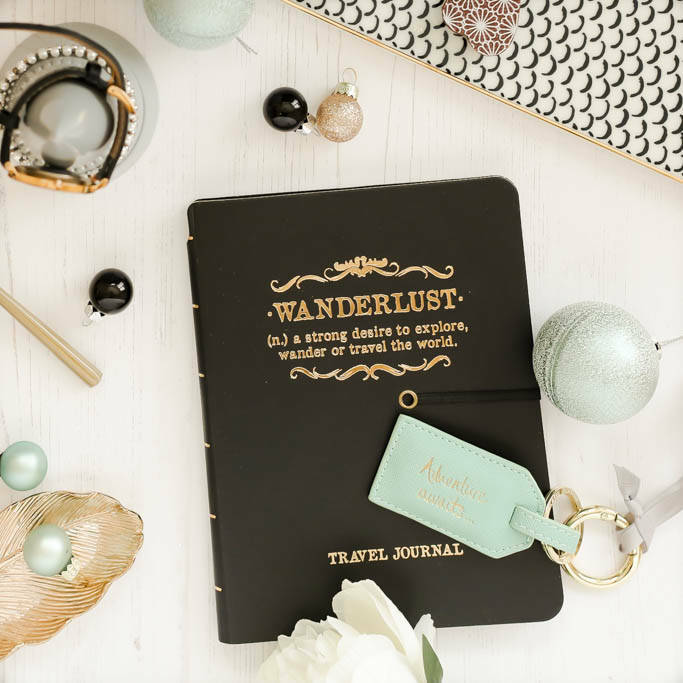 This travel journal is great for anyone who has the wanderlust bug! H&M Home is a haven for stunning pieces at affordable prices and both of these are just some of my favourites. I don’t know many people who don’t like chocolate. You can never go wrong, right? 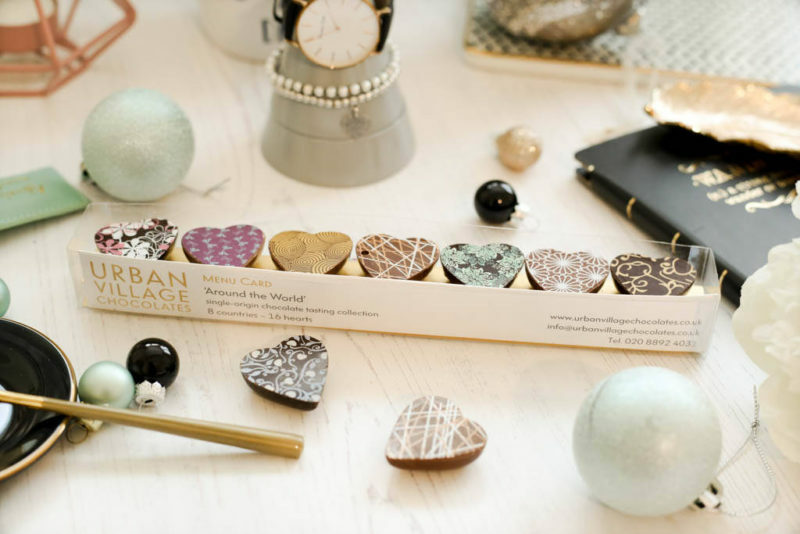 But when you want to give something a little more exquisite, I think these Urban Village Chocolates are just perfect, in fact they are just too pretty to eat! This jewellery holder on the left from My Stackers is ideal for anyone who like me has a lot of jewellery and wants it on display. This is perfect for watches and bracelets and the bottom section opens up for you to place your rings. There are lots of gorgeous colours and finishes available too, including marble. Likewise, who doesn’t love a mug? This one from HEMA is bright and colourful and can even double up as a great stationery or makeup brush holder. 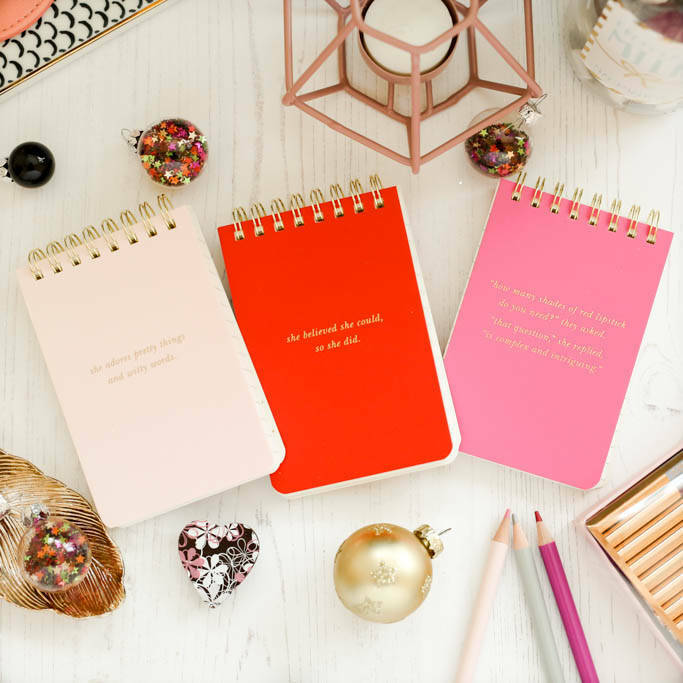 These notebooks are so girly and fun and they come in a set of three. 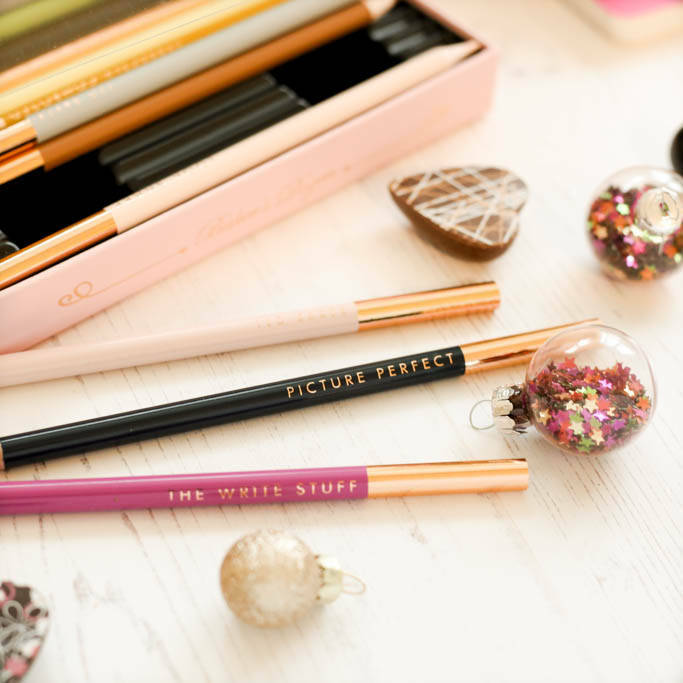 Another favourite for the stationery lovers has to be these adorable Ted Baker colouring pencils. 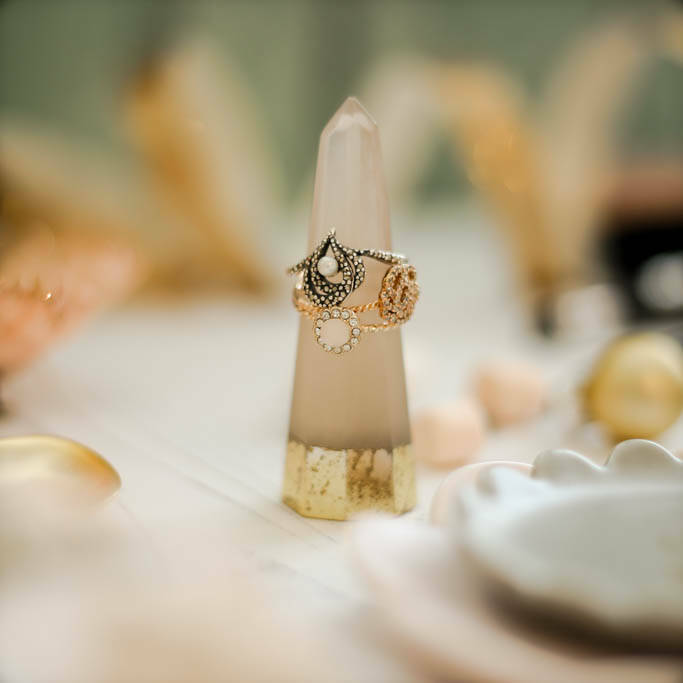 They have beautiful rose gold detailing and just check out the cute quotes on these too. 16. 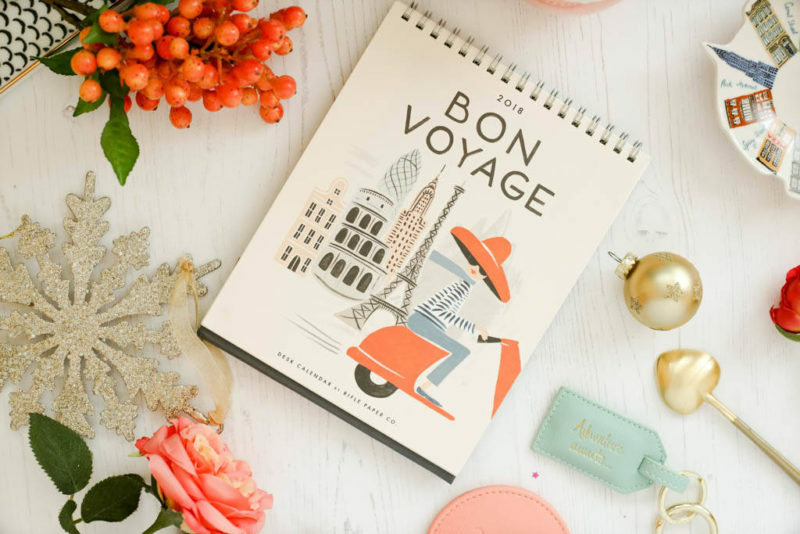 Rifle Paper & Co 2018 Bon Voyage Desk Calendar £16. I don’t know many who wouldn’t love this calendar. Covering cities from New York, Paris, Rome, Cuba and Morocco, this is über chic and great for anyone, not least jet setters! I absolutely adore these skyline dishes. I have the New York one but this is available in London and Paris too. 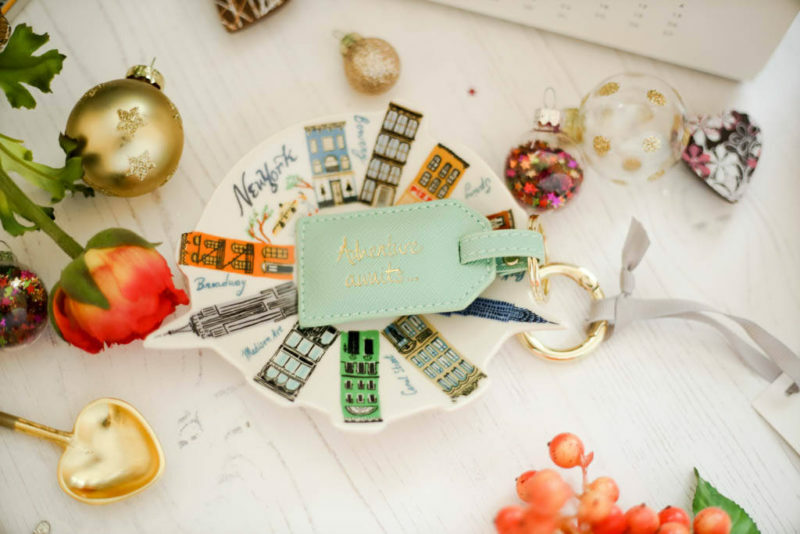 Lastly this Katie Loxton key ring is the perfect accompaniment, or indeed as a stocking filler. 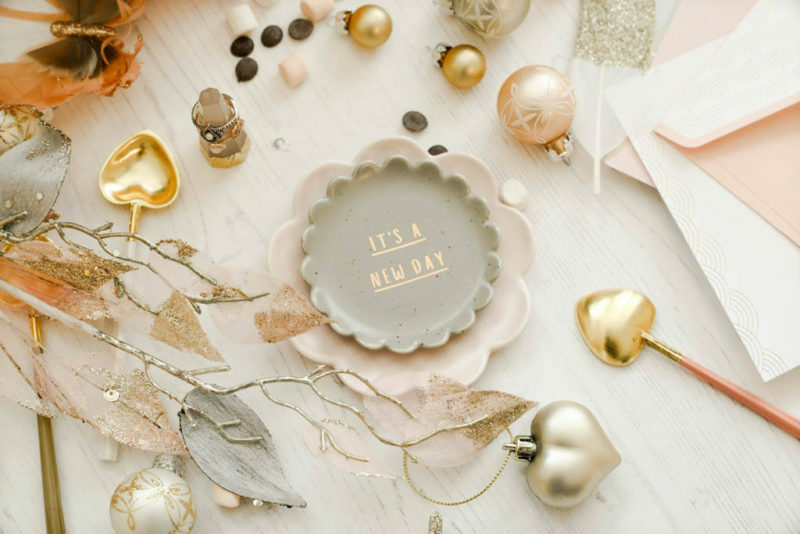 With different shapes, quotes and accessories available, I love anything Katie Loxton.